There is a saying that people in Libra are disposed to be stuck in dilemma when facing a choice between two things. From the point of my perspective, it's not just about the ones in Libra, some others in the rest eleven constellations also having the similar problem. Which one to choose is always a headache thing. For instance, which one should you buy, MacBook Pro or MacBook Air, can you give me a quick answer? 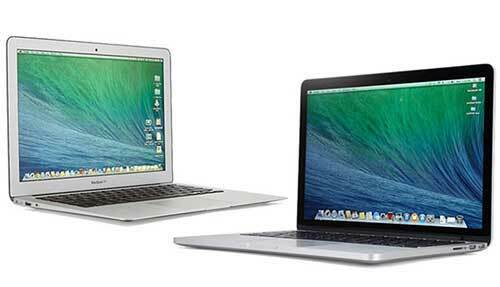 If not, the most obvious reason lies in that you lack sufficient yet clear understanding about these two MacBooks. What's the differences and advantages of the two notebooks? Which one suits me? All these questions result in your uncertainty about these two products. To help you out of the allodoxaphobia, the most effective solution is to illustrate the similarities and differences between MacBook Pro and MacBook Air. Afterwards, I bet you will get your own answers. MacX Video Converter Pro - Free download Hollywood Disney movies on MacBook Pro/Air from YouTube, Vimeo, etc. 300+ sites. MacX MediaTrans - No.1 fast to transfer video, photos, music, ringtone, iBooks, etc. from Mac to iPhone iPad, vice versa. MacX DVD Ripper Pro - 1:1 copy DVD movie to Mac MP4 MOV MKV MPEG-2 ISO image without DVD disc/DVD drive. Actually,there is no big change in MBP 2017 display, but a significant improvement for MacBook Air 2017. See, the Pro version offers users a 2560x1600 resolution at 227 pixels per inch for 13 inch model and 2880 x 1800 resolution at 220 pixels per inch for 15 inch model. Thus, users can play 4K video on MacBook Pro 2017 Retina with ultra HD resolution. Well, the truly good news is for MacBook Air users. It's reported that the 2017 MacBook Air would sport with a Retina display, up to 220 - 227 pixels per inch. That means you can playback your HD video and even UHD video on your MacBook Air Retina eventually, needless to envy MBP Retina users any more. The biggest highlight of 2017 new MacBook Pro might be the Touch Bar, which replaces the traditional functional keys of the MacBook Pro keyboard. It changes automatically based on what you’re doing to show you relevant tools you already know how to use - system controls like volume and brightness, interactive ways to adjust or browse through content, intelligent typing features like emoji and predictive text, and more. And now Touch ID enables instant access to logins and fast, secure online purchases with Apple Pay. Yet, every coin has two sides. This Touch Bar puts a huge challenge on users' mastery degree of Mac operating system and Mac's apps. Meanwhile, the previous shortcuts like Esc, keys for brightness/volume adjustment disappear now and some users might not be accustomed to these changes. Certainly, recent there is also a flurry of rumor says Apple might have a different plan for upcoming MacBook Air 2017. 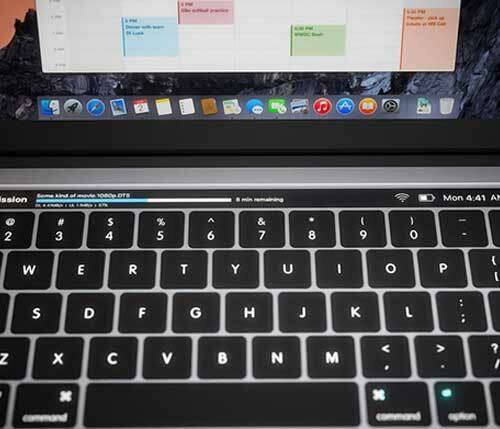 That is E-ink keyboard developed by Sonder Design, which is more customizable than Touch Bar and lets users to change the key labels on the fly. You can freely design a new keyboard for yourself, along with contextual shortcuts. So far, it's unclear Apple use this new keyboard on MacBook Air 2017 or not. Still need time and patience to wait for the answer. As for Touch ID, here is not going to distinguish the difference between MacBook Pro 2017 and MacBook Air 2017, but the thing in common. 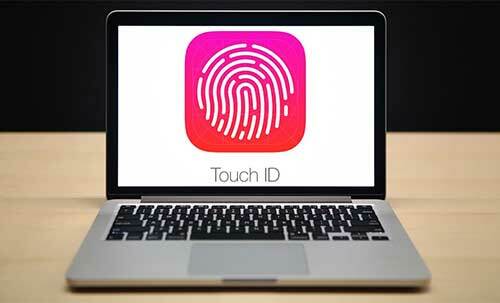 Both the flagship MBP and MacBook Air will be featured with Touch ID. As you know, Touch ID is the fingerprint sensor used on iPhone 5S, 6S/Plus, 6/Plus, iPhone 7/Plus to make Apple Pay more secure. With the release of the latest macOS 10.12 Sierra and macOS High Sierra, MacBook users can eventually unblock you Mac in an instant, using Apple Pay to make secure online purchases, quickly access system settings and locked notes, and even switch between users - all with the touch of a finger. Consequently, they both will come with macOS 10.12/10.13 and Touch ID feature. Do you remember the 2015 MacBook comes with a USB-C port? Now, the two macbooks will also carry this charging feature. An insider, who asked not to be named, reveals that Apple considers to add USB Type-C to both MacBook Pro 2017 and MacBook Air 2017 just like the 12-inch MacBook. And more importantly, there are four Thunderbolt 3 (USB-C) ports in 2017 MBP, since many a MacBook user complains USB-C port connection far from enough. What also increases the credibility of this info is that the 2017 MacBook Air is said to be the last of its kind. MacBook Air series might be replaced by iPad Pro series. So, there is no reason for Apple not to make great efforts on the last version of MacBook Air and give it a perfect ending. The MacBook Pro actually lags behind PC rivals in processor upgrades. See, Dell and HP have already updated to the seventh-generation Intel Kaby Lake processors in autumn 2017, while Apple still has no move on this aspect. Eventually, the new MacBook Pro 2017 gets a progress on its processor, sporting with 2.8GHz quad-core Intel Core i7 chips for 15-inch model and 2.3GHz dual-core Intel Core i5 for 13-inch model (a little bit disappointment). To be brief, the next generation Intel processor will dramatically speed up MacBook Pro 2017, offers high speed file transfer and the convenient wireless charging. As for 2017 MacBook Air, it's still uncertain whether it will include this processor or not. Armed with the Intel Core i7 processor, the 2017 MacBook Pro dramatically improves the speed for your file transfer between MacBook Pro and iPhone 7/Plus, iPad Pro, iPods. Coincidently, the Mac-based iPhone manager called MacX MediaTrans, built-in with Intel Quick Sync Video hardware accleration tech, also lets you transfer music, videos, photos, movies, iBooks, Ringtones, iTunes U, etc. from iPhone iPad to MacBook Pro or vice versa with world's fastest speed, 10 seconds for 500 4K photos transfer and 140 seconds for a 396MB MKV video transfer. Both hardware and software are awesome and the iPhone transfer speed will reach to a new height! The new 2017 13-inch and 15-inch MacBook Pro are well-designed with only 0.59 inch/0.61 inch in height and 3.02/4.02 pounds for each in weight. 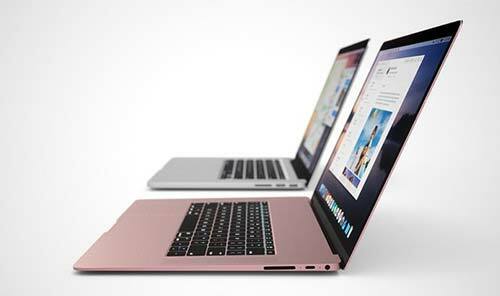 In contrast, the 2015 11-inch and 13-inch MacBook Air are even thinner and lighter than MacBook Pro series. They are kept with 0.11-0.68 inch in size and weigh only 2.38/2.96 pounds. No doubt that MacBook Air is regarded as the thinnest notebook out there for quite a while. Speaking of the upcoming MacBook Air 2017, there are also some speculations indicating that the Retina MacBook Air will become thinner and lighter than its predecessors. How thin and light on earth? It remains to be seen. 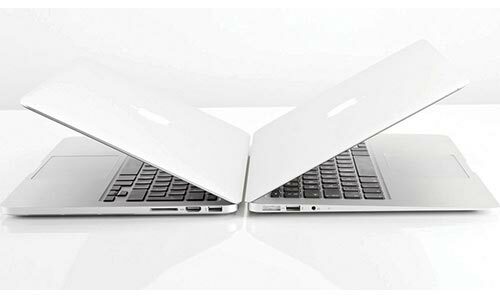 • MacBook Air is the sure winner with respect to the thickness of a notebook. It's definitely the thinnest yet lightest Mac you've ever used. • MacBook Pro sports with Retina display and the high-end hardware configuration to make itself worth every penny. • MacBook Air benefits a lot from its thickness, but this also leads to a big compromise on its product performance. • MacBook Pro : recently, the complaints about 2017 MacBook Pro battery life is constantly increasing. Users reflect that the 2017 MBP delivers battery life well below Apple's claimed ten hours, mainly relying on GPU use. 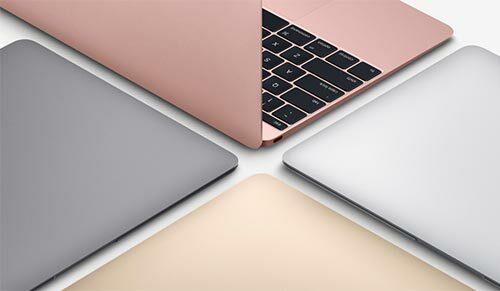 For those who gonna get more detailed comparison between 2017 MacBook Pro and 2017 MacBook Air, you're suggested to read on the following comparison table to further understand the MacBook Pro and MacBook Air. Both MacBook Pro 2017 and 2017 MacBook Air have updated with better Retina display, which is well-suited to play HD and Ultra HD movie thereon. For movie buffs, you can consider to resort to the highly sought-after MacX Video Converter Pro to free download YouTube HD video, YouTube movies, as well as download Hollywood movies from Dailymotion, Vimeo, crunchyroll, comedycenter, FaceBook, Metacafe, etc. 300+ movie download sites and then playback movies on MacBook Pro/Air with Retina display. With 350+ mobile profiles, you also have the ability to convert video movie to iPhone 7/Plus, iPhone SE/6s/6/Plus, iPads, Android, etc. with parameter settings adjustment and video editing features (trim, crop, add subtitles, add watermark, etc.). Best all-in-one video converter for Mac enables you to free download Hollywood or Bollywood movies on MacBooks/iMacs with No.1 fast speed. • Free download movies on MacBook: download video, movie, music, etc. on MacBook Pro/Air from YouTube, Facebook, Dailymotion, etc. 300+ sites. • All-sided Video Converter: Convert any video to over 180 video formats and 14 popular audio formats on Mac OS X, such as WebM to MP4, M2TS to MP4, MKV to AVI, WMV to MOV, FLV to AVI, AVCHD to MOV, etc. • Convert Video to Android iPhone iPad: Super fast speed to convert videos to iPhone iPad Android with best parameter settings and video editing features. Do you madly cling to copy DVD to MacBook? Well, never mind, this tutorial gives you tips and tricks to create a DVD copy and rip DVD to MacBook Pro (2017), MacBook Air 2017, iMac 5K, Mac Mini, Apple devices, etc with a professional DVD ripper for Mac (El Capitan and macOS Sierra included). How to download movies on MacBook: the post guides you to download 4K HD 720p free movies in full length to MacBook (Air, Pro) for offline viewing, anytime and anywhere. MacX Video Converter Pro is a versatile video converter for Mac to convert video on Mac, like MP4 MKV AVI MOV VOB AVCHD, etc. to iPhone iPad Android with best parameter settings; better still, it's a powerful video downloader to download video from YouTube, Vevo, Instagram, etc. 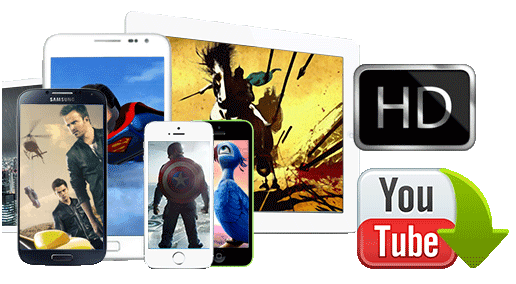 300+ popular video sites on MacBook Pro/Air with fastest speed! Free Download and Play Movies on MacBook Pro/Air Retina Display!